Active Chemical: Testosterone Undecanoate. Packaging: 60 capsules 40 mg. Andriol is one of the few new steroids that has appeared in recent years. Unlike most anabolic steroids, which entered the market as early as the 1950s and 1960s (and partially already disappeared), Andriol has existed only since the early 80s. This circumstance is probably an explanation of why Andriol takes a special place among steroids. This is a revolutionary steroid. along with “methyltestosterone” is the only oral drug testosterone. Oral testosterone itself is completely ineffective, since it is reserved through the portal vein and is immediately inactivated in the liver. The active chemical substance testosteronundecanoate contained in “Andriole” is absorbed through the intestines and enters the lymphatic system bypassing the liver, so that this drug is effective when used orally. It does not have the slightest effect on liver function. 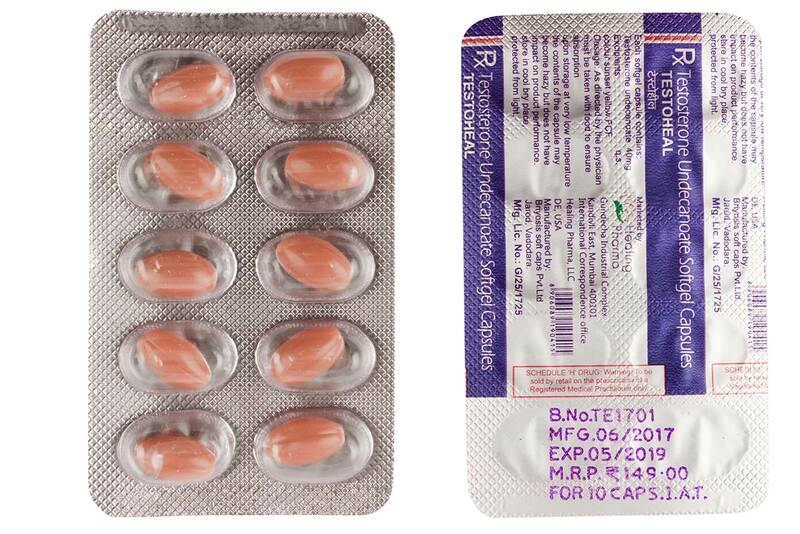 Testosteronundecanoate is an ester of natural androgen fatty acid testosterone and is converted in the human body mostly to dihydrotesterone, a product of testosterone metabolism. Therefore, Andriol is only minimally flavored, i.e. only an insignificant part of this substance can turn into estrogen, since dihydrotesterone is not flavored. Therefore, Andriol does not show in those who accept it the phenomena of feminization, such as, for example, gynecomastia or increased formation and accumulation of fat. Therefore, it is a desirable alternative for athletes who have problems with conventional injectable testosterone preparations. On this basis, “Andriol” is suitable for preparation for competitions. For liverworms: Andriol Testocaps can be combined with a deck, testosterone undecanoate should be taken 240-480 mg per day, which equals 6-12 capsules, decanoate 200-400 mg per week, course duration 6-8 weeks, after canceling the deck, another 2 You should take Andriol solo for a week, after which you can start post-course therapy. For beginners: it is best to put Andriol solo, dosages from 120 to 240 mg per day, if the effect is not felt, then you can add 30 mg of oxanes per day, the course duration is 6-8 weeks, PCT can be started immediately after the abolition of all drugs. This course will allow you to gain a very high quality muscle mass, though very little, up to three kilograms, not more.